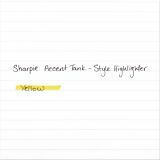 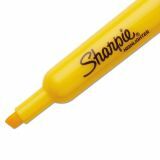 Sharpie Accent Tank Style Highlighter, Chisel Tip, Yellow, Dozen - Sharpie Highlighters in tank style feature Smear Guard ink technology that is specially formulated to resist smearing of many pen and marker inks. 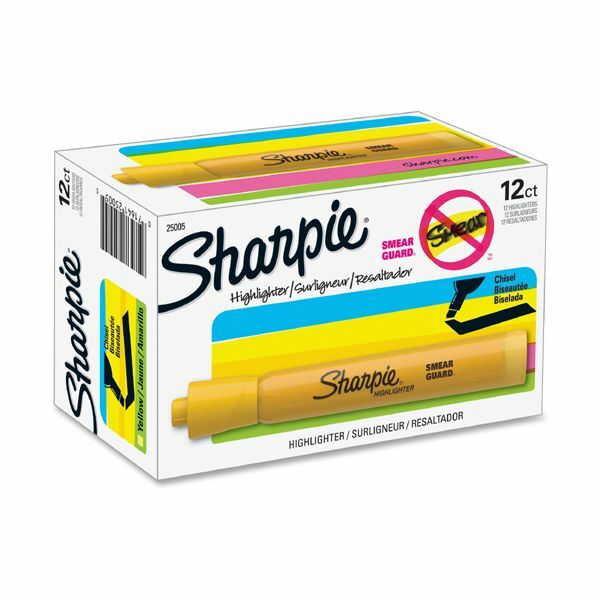 Quick-drying, odorless ink is certified AP nontoxic. 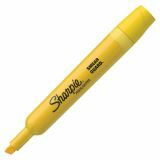 Easy-gliding chisel tip delivers a smooth highlighting experience. 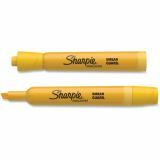 The chisel tip lets you highlight both wide and narrow lines of text. 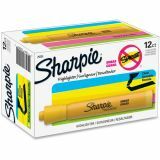 Bright see-through colors increase information retrieval efficiency so the highlighter is great for highlighting or underlining. 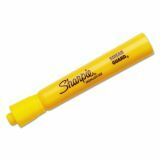 Dependable, long-lasting highlighter also offers a long write-life.